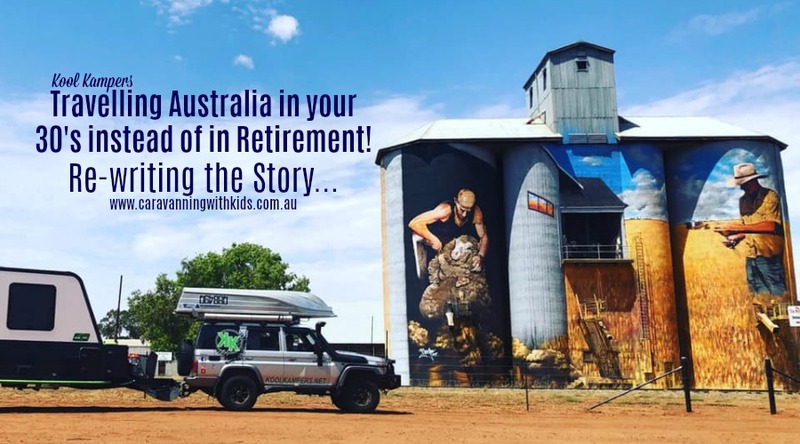 We are the Williams family – throwing caution to the wind and making our retirement ‘pipe dream’ of travelling Australia a reality in our 30’s. 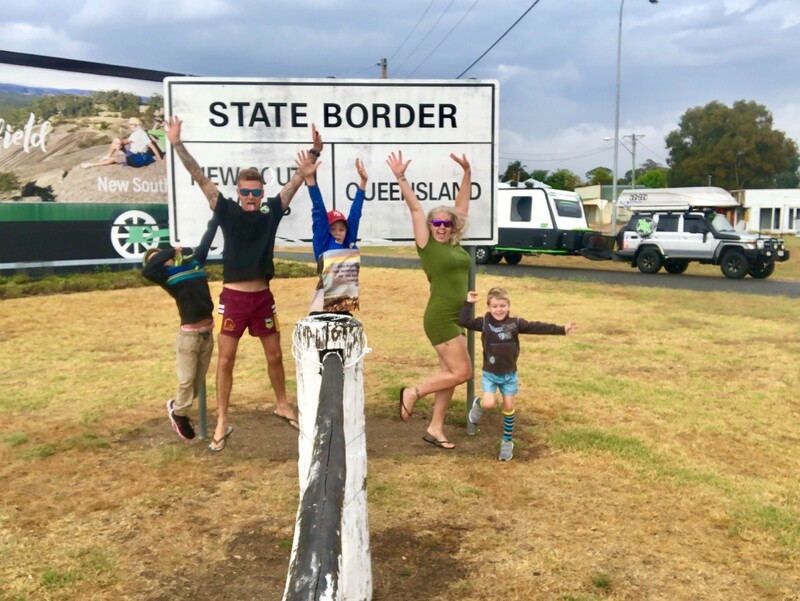 As a young family of 7, we have always enjoyed escaping the hustle and bustle of daily life by venturing to new locations in the great outdoors in our ever – evolving camping / caravan set up. Following a few key life events, we thought long and hard about what we wanted our lives to look like. 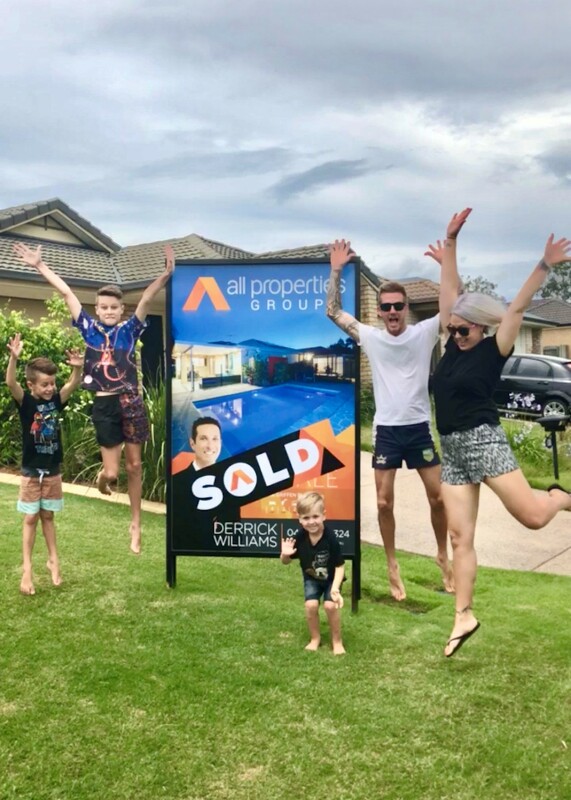 We considered our ages, our careers, finances and EVERYTHING inbetween – and knew it was time to shake things up, lead a more simplistic life and look for somewhere new to call home. We decided that NOW is as good a time as any to live our dreams. Especially as this was something we have talked about since we first met in 2006, and the belief that tomorrow isn’t a reliable date for ANYTHING has well and truely been realised by us both! Deciding to sell everything we have and create a new lifestyle of full time travel was actually the easy part. Sacrifices had to be made – with one of the biggest being to leave Wayne’s two oldest sons behind, as being children from a blended family means things like this are just ALL the more difficult…. and one parent always has to miss out… in our experience that’s always the Dad. It’s taken us just over a year to completely organise everything, but we KNOW it will all be more than worth it to experience all our beautiful country has to offer! Wayne, 35: A typical Aussie bloke, doting dad and loving husband who has always wanted to travel our beautiful country and is completely in his element in the great outdoors. Total Master chef on the campfire and BBQ, lover of history and a keen fisherman, Wayne gets a kick out of exploring new places. Place he can’t wait to visit: “Driving the Gibb-River Road, Kimberley’s”..
Katie, 35: Feeling my freest while driving and camping, I have always held big dreams of travel. Totally in awe of mother nature, I love to lose myself in stunning landscapes and surrounds whenever we hit the road. With my creative flair (I’m a hairdresser by trade – and YES, I have brought my scissors along, so keep an eye out for my huge pink ‘Salon’ flag), a love of photography and a desire to live life to its fullest, I thrive off the closeness that camping brings to our family. Most excited about: “All the new experiences, memories and stories to be collected along the way”! Most scared of: “Letting Wayne stay at Wolf- Creek Crater”..
Place she can’t wait to visit: “Ningaloo Reef, Exmouth WA – to swim with the whale sharks and other marine life”! Dylan, 12: Dylan constantly soaks in everything around him…. from scenery and new faces to history and facts about our changing locations. He’s our little bookworm and loves to immerse himself in various genres! 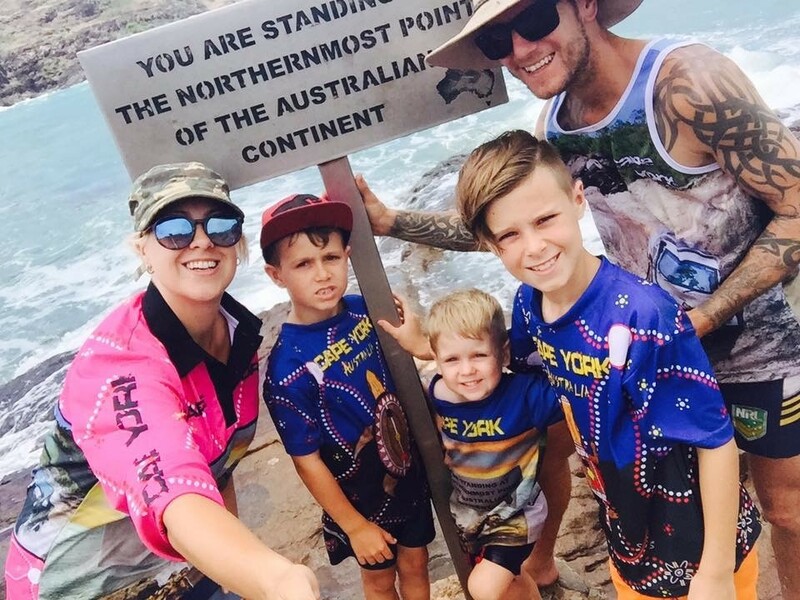 Dylan loves to seek out hills and sand dunes to sprint up and roll back down; waterholes he can flip, jump and plunge into and enjoys fishing from the tinnie along with being first to try out dads rope swings. One of the funniest, most caring and protective big brothers you’ll ever meet! Place he can’t wait to visit: “Cable Beach, Broome WA – to ride a camel along the beach at sunset”! Cody, 8: Cody loves to have FUN! He makes friends wherever he is with his inclusive nature, giggly laugh and caring manner. Cody’s an ace with the fishing ‘jig’ and is quick to catch bait fish for his bigger brothers and dad to use.. he takes his job VERY seriously! Loving the limelight, Cody is all character and definitely keeps things entertaining for the rest of us. Most scared of: “Sharks, missing my friends from home and probably crocodiles too”..
Linkin, 4: The youngest of our family, and we think the most mischievous as well! Butter wouldn’t melt…… with his big baby blues, crazy hilarious storytelling efforts and affectionate personality, Linkin sure does add a certain element into the mix! He loves a good splash in the water; squeals with excitement when he sees new things (particularly animals); and is just pure joy, from the inside -out! Most scared of: “Swimming in the water”..
Place he can’t wait to visit: “Any zoos or crocodile parks! Having evolved from a cheap Kmart tent over the last 12 years or so, through various set-ups and renovating an older model Jayco Starcraft a few years back, we knew EXACTLY what we wanted in the caravan that would be our home for at least 2 years exploring the country. It HAD to be set up to be fully self-sufficient off grid and be sturdy enough for us to make it to some of the more remote destinations like Honeymoon Bay – across some heavily corrugated roads. 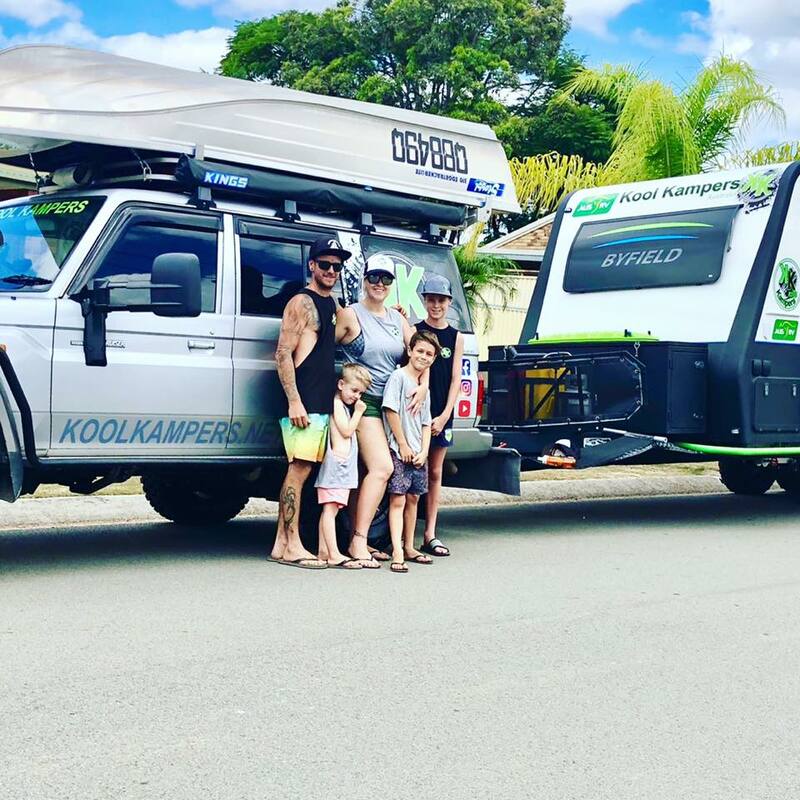 For us, the AusRV Byfield XT Triple bunk family caravan provided the goods and they were able to address the modifications we wanted. Our 4wd is a Landcruiser 76 series. It’d be lovely for the wagon to have a little more comfort inside… but let’s be real here – it’s a work truck, so comfort isn’t high on the manufacturers priorities! 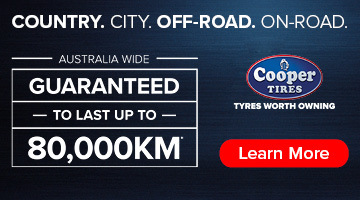 We’ve done a lot of mods to make it perfect for our family and our travelling lifestyle, and know she’ll be reliable and tough – and tows our home with ease. Learning, growing, exploring and creating memories as a family is extremely important to us, and we hope to provide some valuable information and inspiration along the way! Through our sites we’ll bring you reviews on our favourite locations, journal entries from both the kids and adults (handy for their homeschooling), helpful tips and camping hacks, and everything else in-between..
We invite you to check out our videos and social profiles to join in our family adventures – past, present and future. 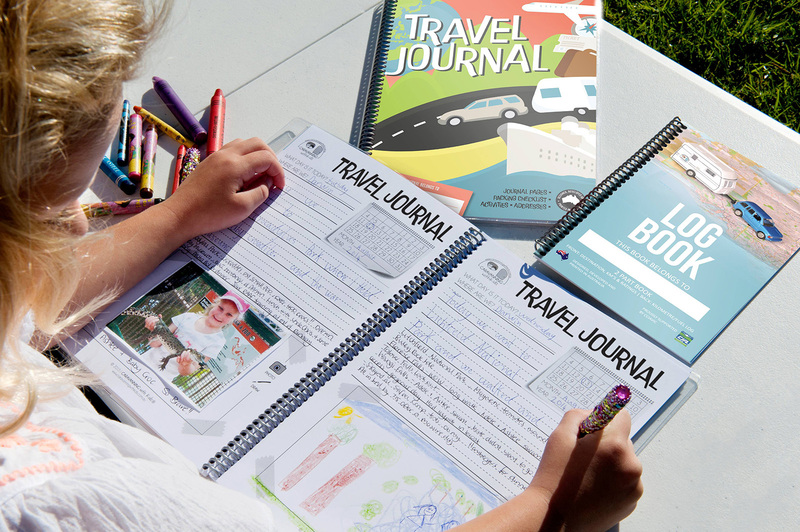 Have you checked out our Aussie made Travel Journals and Caravan/Camper Log Books? Pop into our SHOP HERE!